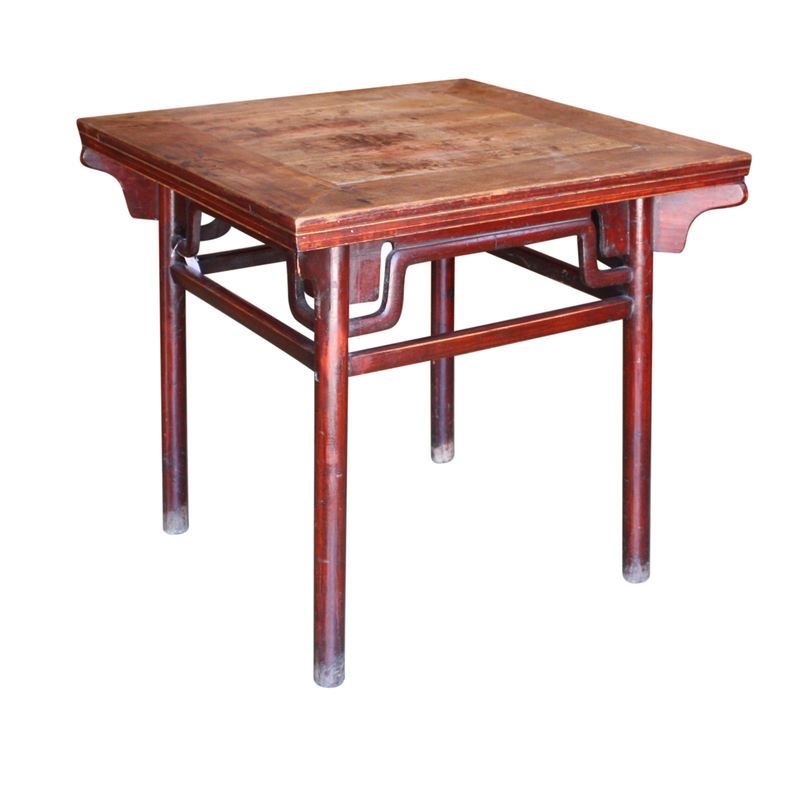 This nice Ju wood table with a Ming style Ba-Wan-Chun joinery is in good condition with beautiful grains showing on the naturally worn table top with nice patina. Four tall round legs are in fine condition. This table has a very broad "Floating-Panel" frame for the table top. 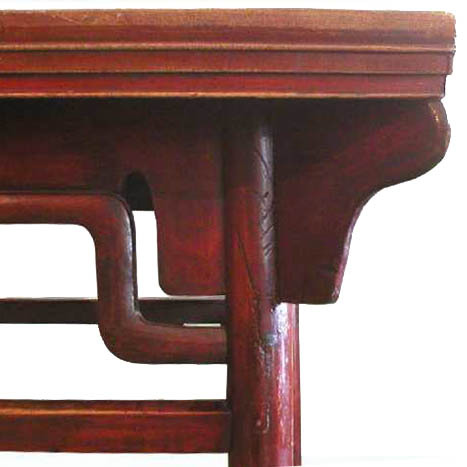 Such square table with a Ming style Ba-Wan-Chun joinery and made of Ju wood is much rarer, compared to rectangular shaped Northern wine tables made of Yu wood with similar joinery. This perfect size table makes an elegant statement as a table for two or four! It is in original unfinished condition. Age: 150-300 years old. Ju wood, Southern Chinese elm, is a much denser and finer wood than Yu wood, Northern elm. It takes many years for a ju wood tree to grow to a usable size tree; while Yu wood is a fast growing tree and usually grow to a big tree and is a common wood used for Northern Chinese furniture and for reproducing furniture in general. Ju wood furniture can be dated to the 17th century or later. Old Ju wood furniture piece with good design and good craftsmanship is rare. Dimensions: 35.25" x 35.25" x 33.75"